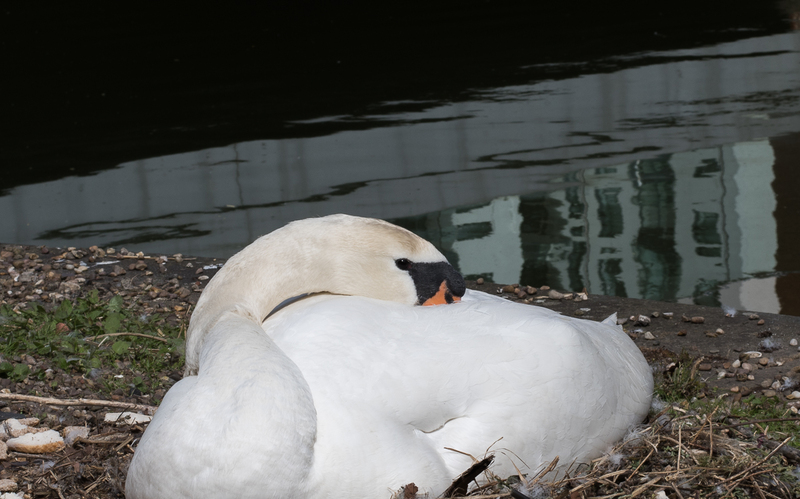 Over the last few years I have documented and photographed a number of Swans that inhabit the Lincoln Urban areas and apart from the Precarious swan from 2014 they seem to nest in the same areas every year. 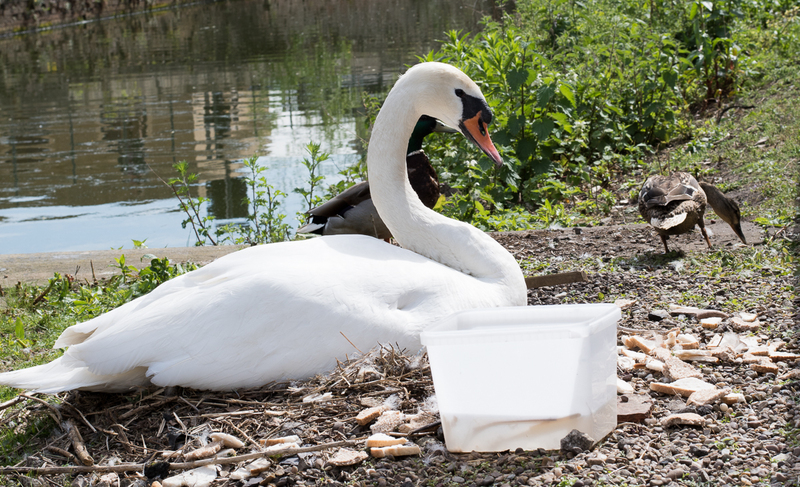 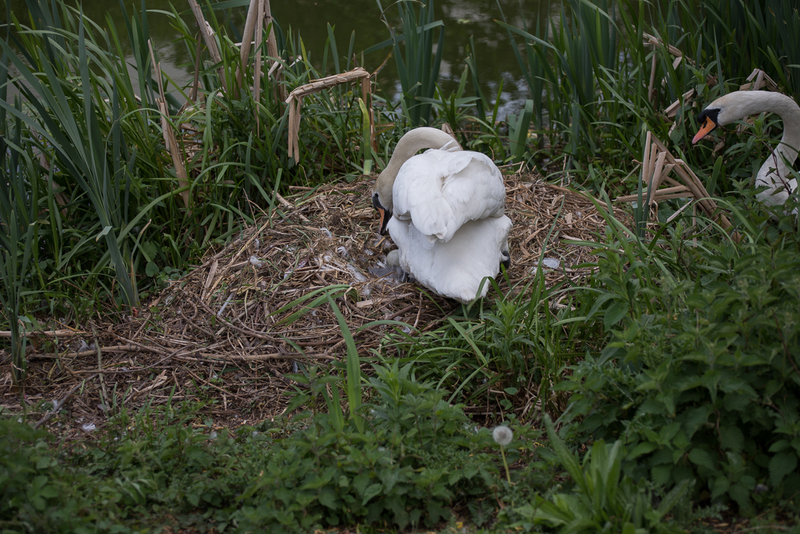 This year we have two Mute Swan nests that are fairly close to public footpaths, one of these is located near the university where a number of the students seem to have an interest in the swan, going so far as naming the Swan and posting some do’s and font’s about what to feed the swan (and when they are born) the cygnets too. 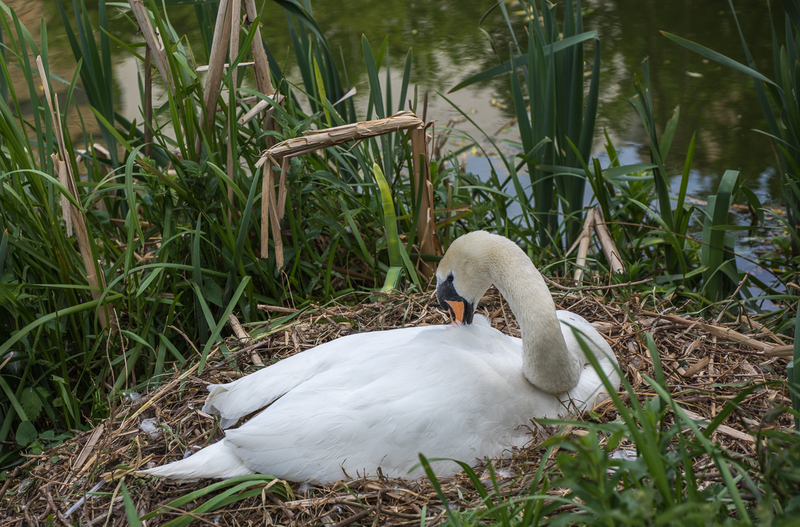 The second nest is a bit further along the bank in the St. Marks’ area where we usually has a pair of swan take up residence; although we did not have any last year for some reason or another. 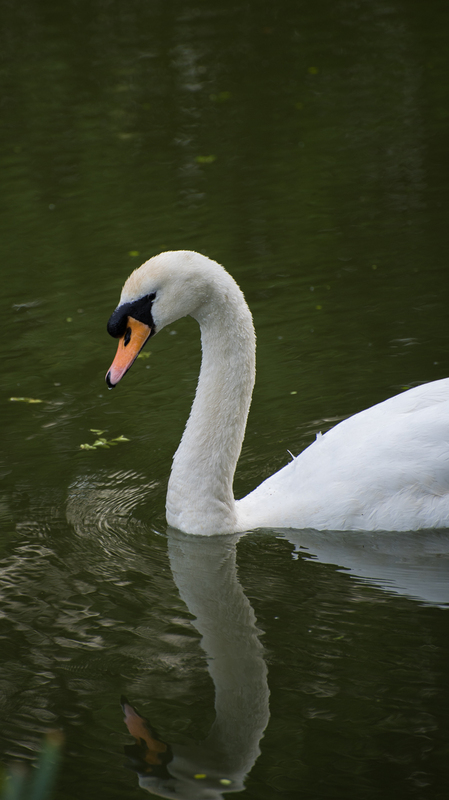 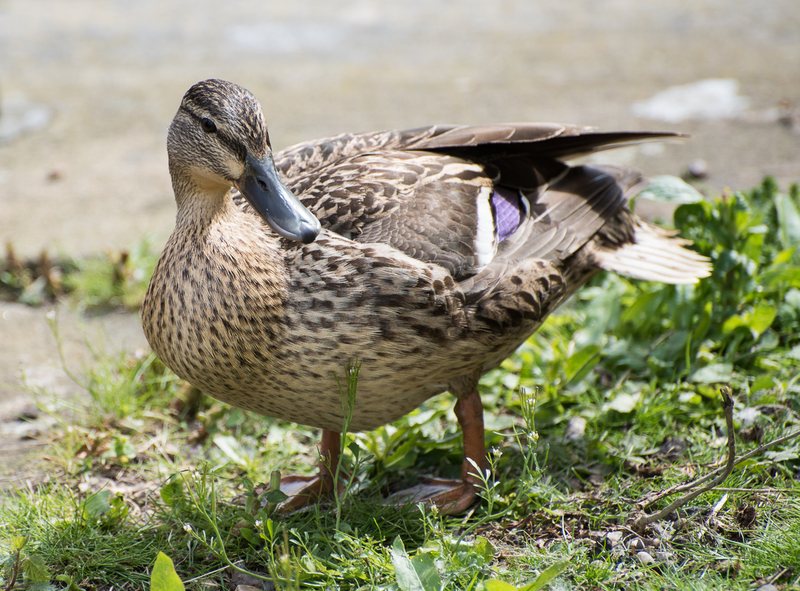 I started to take pictures of the swan with the 50mm f1.8 lens attached to the camera as you could get quite close; that said, I always like to keep a reasonable distance between myself and any wildlife as this ensures that we are both safe – the last thing I want to do is worry any wildlife. 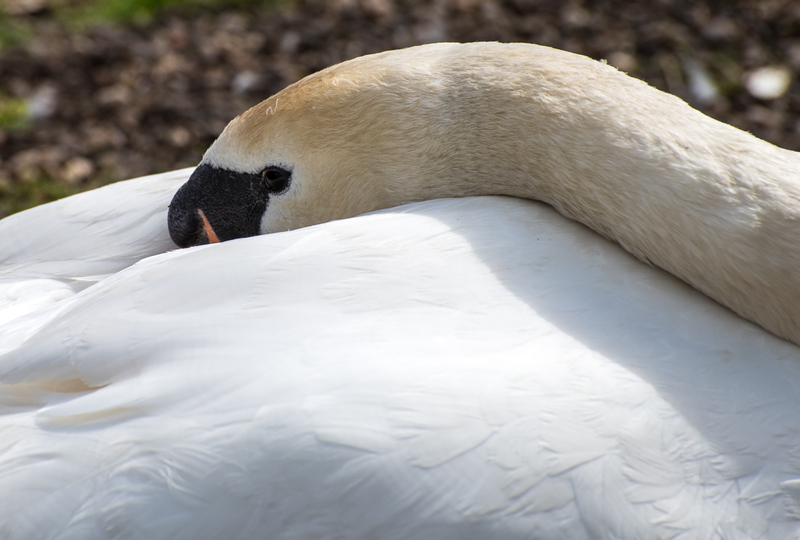 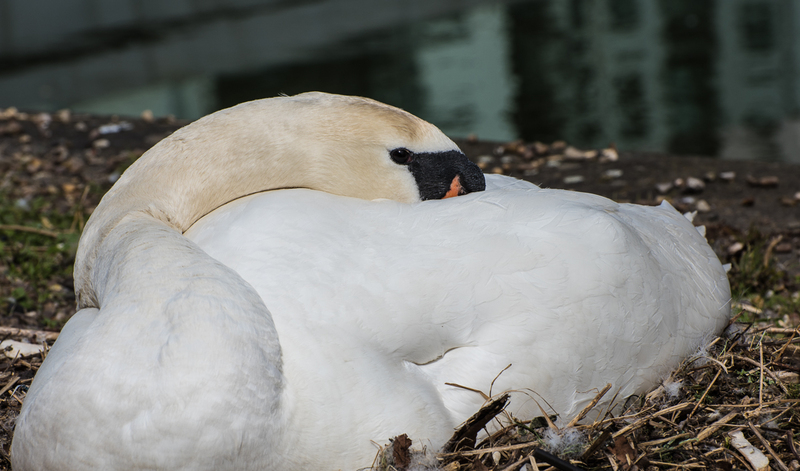 The Mute Swan on the nest kept a watchful eye on me; there was no sign of they swan’s mate. 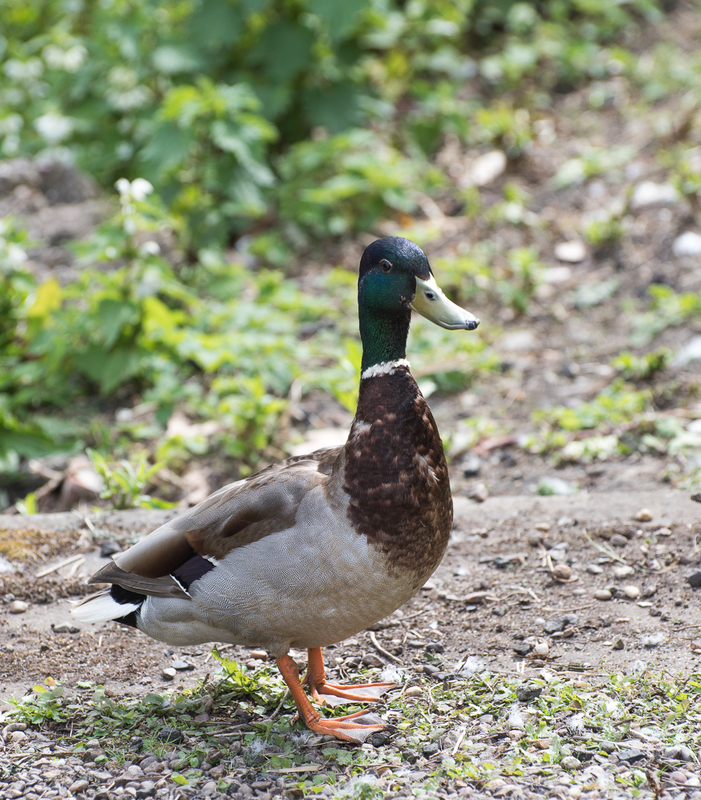 I decided to switch to the 70-300mm f4.5-5.6 VR lens. 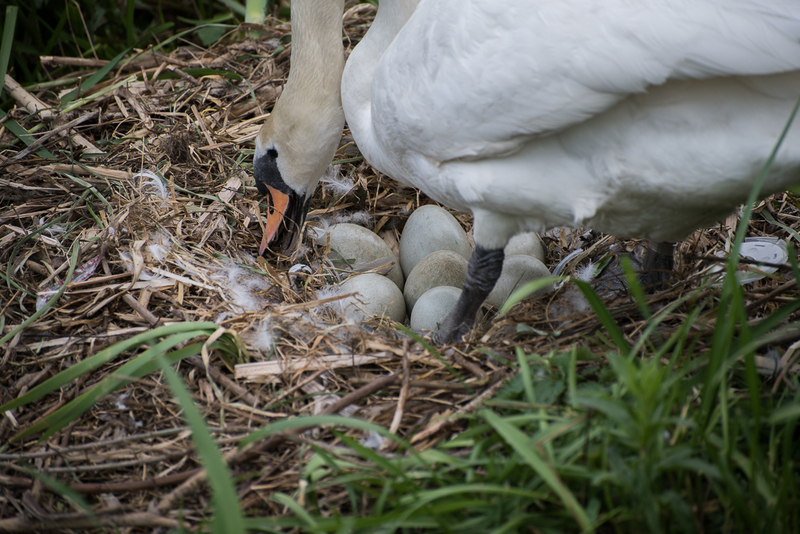 I couldn’t see any sign of the eggs or cygnets yet but from the people I have spoken to we are probably only a few days away, maybe a week. 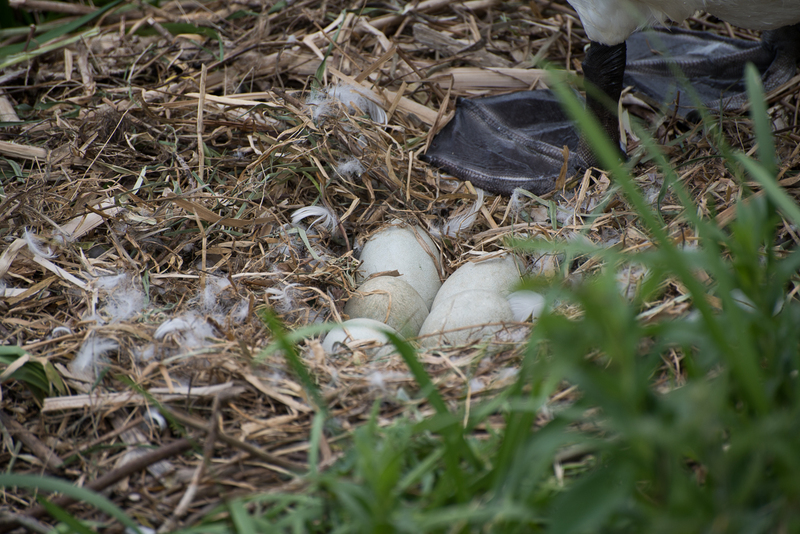 I’ll have to keep any eye out for them. 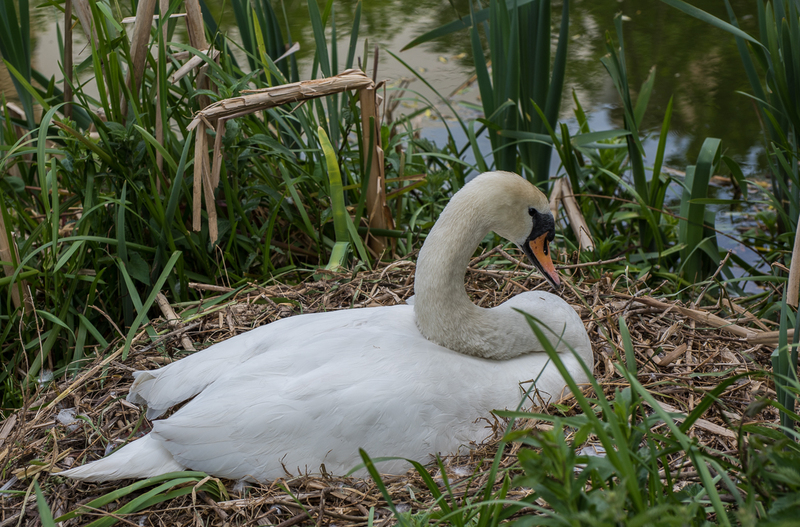 Like the swan further up the bank, I will have to keep an eye out for any sign of hatching. 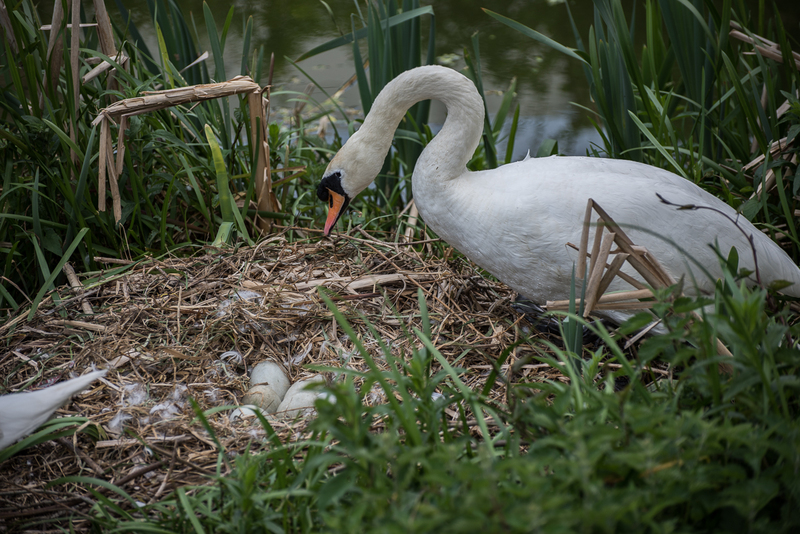 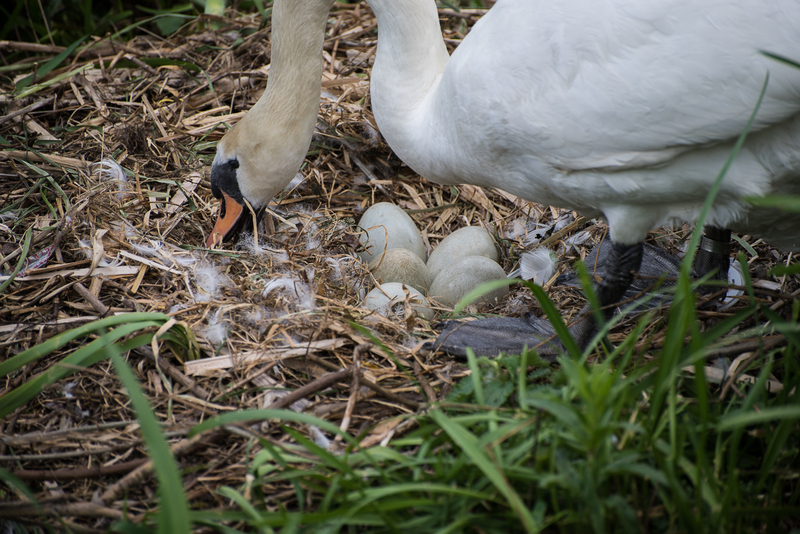 The eggs typically take around 36 days incubation before the hatch so we are not too far away, this nest has had a swan for at least two weeks that I’m aware of.